Just across from where we were staying was Lawai Beach, one of the best places to snorkel around here. On the property was a rainbow trunk eucalyptus. The photo doesn't do it justice. It is a tall tree that can grow up to 200 ft tall. The one we saw was already two story high. The most extraordinary feature is its vibrantly colored bark, bits of which are discated every year at various intervals, revealing bright green inner bark that eventually matures and changes into rainbow shades of blue, red, orange and purple in the summer. 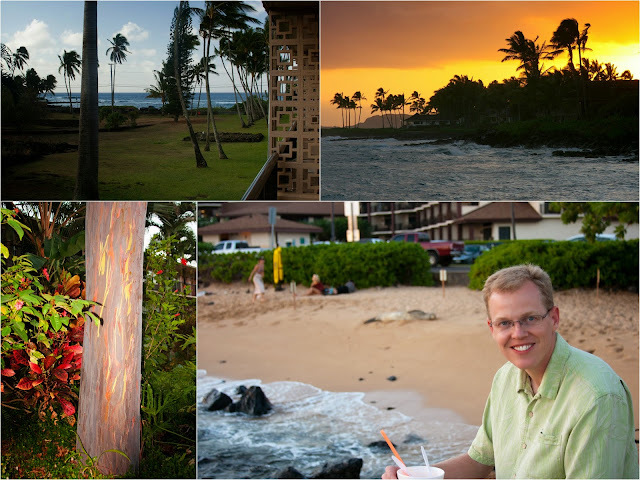 Koloa town is a small community on the road from Poipu to the North Shore. 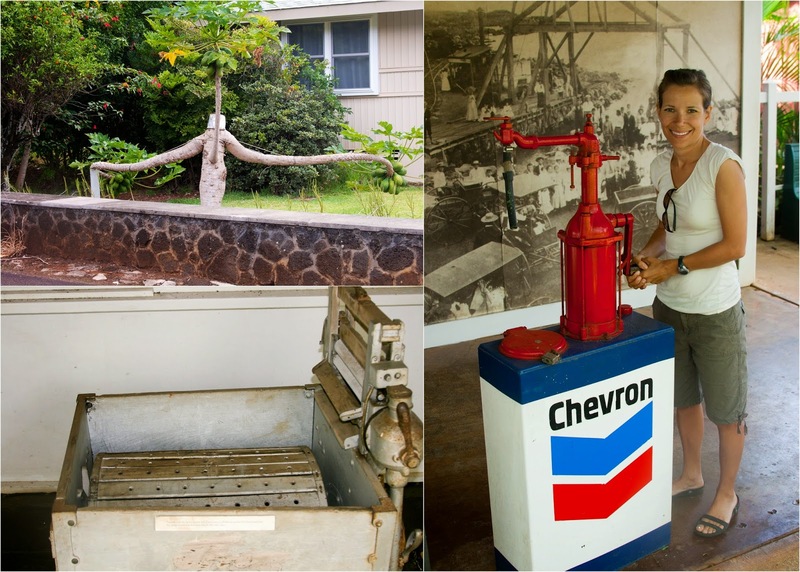 The first successful sugar plantation in Hawaii was started in Koloa. Several buildings of that plantation era (aprox. 1835) have been transformed into shops. We enjoyed walking up to each of the buildings and reading the plaques that explained the history of each.